Great investment property with high potential to be rezoned to commercial/industrial. 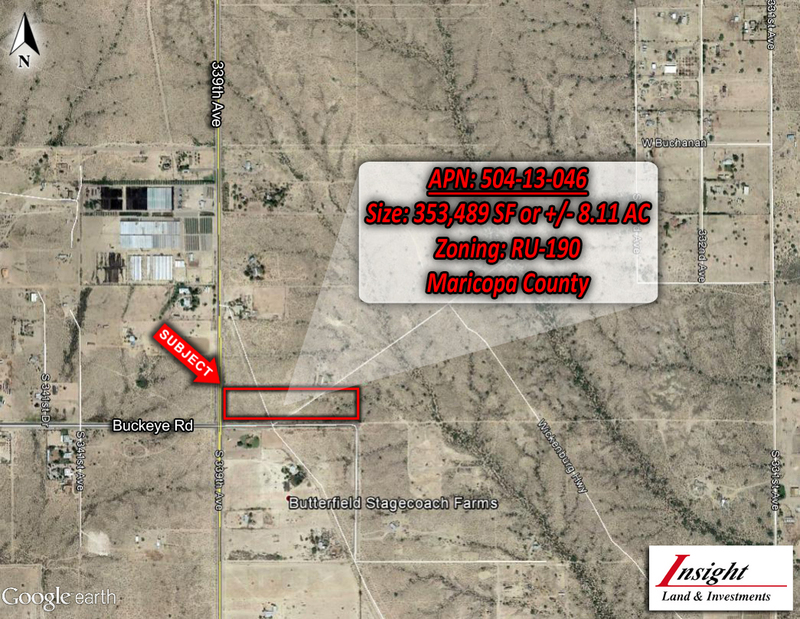 Paved road, minutes from I-10 interchange and Belmont masterplanned community. Across the street from Moon Valley Nursery. Excellent tax advantage for a 1031 Exchange in an Opportunity Zone. Also in the future I-11 corridor connecting Las Vegas with Mexico. LOCATION: NEC 339th Ave and Buckeye, Tonopah, AZ.